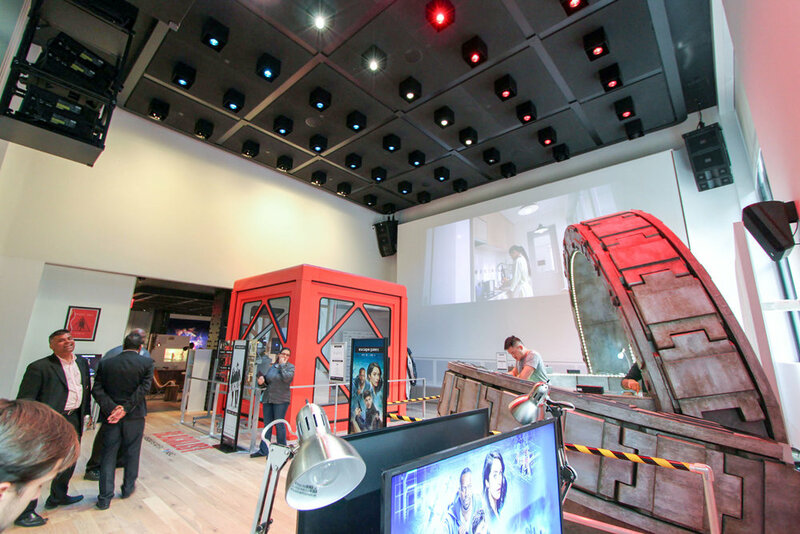 Sony Square NYC is a public space committed to showcasing innovations in products, music, movies and gaming. Visit the experience center in the bustling Flatiron District for exclusive content, product launches, creative workshops, live performances and more. New exhibits open at Sony Square NYC every six to eight weeks giving Flatiron District residents and office workers the chance to stop by and enjoy a new experience every few months. 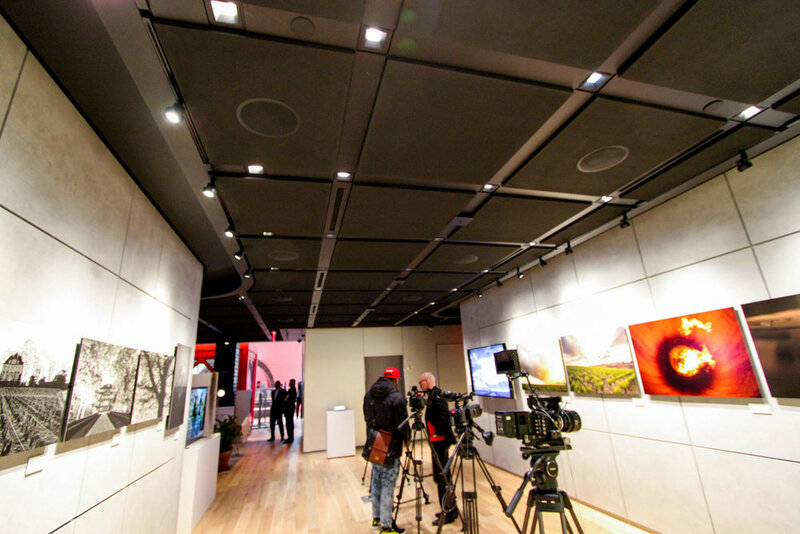 Black acoustical tiles by Sky Acoustics were used to compliment Sony’s brand image and provide needed acoustical absorption in a space full of bustling customers and employees alike. The reduced reverberation time in a space with hard surfaces on the floors and walls created a much more pleasing environment to play, explore, and learn.